This chapter reviews the fluorescence lifetime techniques currently applied in biomedical diagnostics. 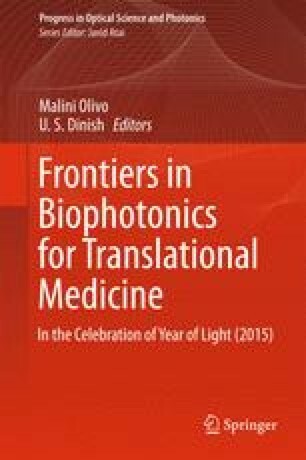 Specifically the chapter focuses on time-resolved fluorescence spectroscopy (TRFS) and fluorescence lifetime imaging (FLIM) technologies for in vivo tissue characterization, with special emphasis on the translational potential of these techniques and the prospects of autofluorescence to provide intrinsic contrast for the assessment and diagnosis of human diseases. The use of these techniques in a number of medical applications, including cancer (gastrointestinal tract, lung, head and neck, brain and breast), skin and eye diseases, and atherosclerotic cardiovascular disease, are discussed and their recent developments towards translational medicine are highlighted.